Could it be? Have John Cena’s ardent attempts to win back former fiancée Nikki Bella finally paid off? On Saturday, while the rest of the world was distracted by the royal wedding, TMZ spotted the estranged couple spending a quiet afternoon together in San Diego, California. Dressed super casually — Bella in a gray leisure-wear suit with a red beanie and Cena in gym shorts and a Tapout T-shirt — the pair was caught strolling around the Mission Hills neighborhood with coffee in hand. They both look relaxed, making us wonder: Has Bella decided she’s ready to take Cena back? Per TMZ, the Total Bellas reality TV star believes that Cena has had a sincere change of heart and does want to have children with her now. His dogged resistance to the idea before their breakup was reportedly one of the main sources of tension between the two that led Bella to call off their May wedding. But since Cena is now singing a different tune and since Bella herself told TMZ she is open to a reconciliation, it’s within the realm of possibility that this casual coffee date could be the first step back down the aisle for the pro wrestlers. Cena certainly hasn’t been holding anything back in his attempts to convince Bella to reconcile. On Friday, he posted the iconic Lloyd Dobler boombox image from the late ’80s cult classic Say Anything. Superfans of the couple, who were together for six years prior to their split, continue to root for a romantic reunion. However, that’s not to say that Cena and Bella haven’t also elicited skepticism in some circles. 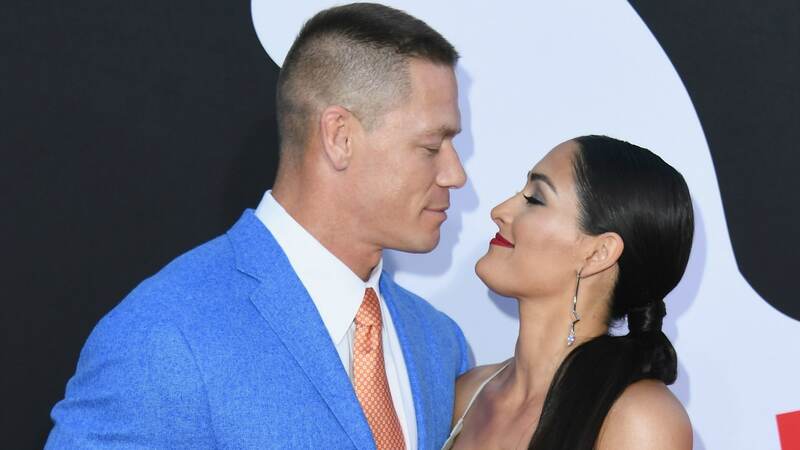 More cynical fans and many media outlets have suggested that perhaps the breakup was a carefully orchestrated part of the couple’s current press tour for the Season 3 premiere of Total Bellas. In those jaded souls’ defense, Cena and Bella are both performers in an industry known for histrionics. And the same day she was spotted in San Diego strolling with Cena, Bella posted a video teaser for the upcoming season to Instagram. So, at this point, the better question might be which we care about more: whether the breakup was real or how badly we want to see Cena and Bella together again. TBH, we’re leaning toward the latter. After all, staged theatrics or not, they make a great couple. And, really, who doesn’t love a good makeup story?